When You Need a Reliable Roofer for Your Home or Business, Contact Our Office. 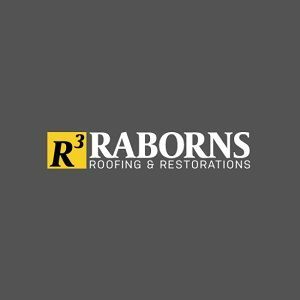 If your roof is failing and you need a roofer in Georgia, contact the office of Raborns Roofing & Restorations at (706) 814-3207 to hire a skilled professional roofer who understands the importance of customer service. Our staff is committed to making sure our customers have the best possible roofing experience. We are a fully licensed and certified roofing company and we install only the best roofing materials from the leading roofing manufacturers. Whatever roofing problem you may be facing, we’ve got the expertise and knowledge to help you resolve it, and we guarantee to keep you in the loop regarding all necessary repairs or installations. As an honest roofing company, we promise never to overcharge you or charge you for repairs you don’t actually need. Contact our office today and experience what happens when reliable roofing meets exceptional customer service. We Offer a Variety of Roofing Services for Both Residential and Commercial Buildings. We understand that your roof is one of the most important parts of your home or business building. When it isn’t working, it creates a domino effect. We are here to minimize the disruption to get your home of office back in tip top condition. Our professional installers are experienced in a wide range of residential and commercial roofing repairs and replacements. We can handle whatever roofing services you require. When you’re ready to upgrade to a stronger more durable roof, we are happy to discuss the possibility of upgrading to a metal roof. Whatever roofing problems you may have, we’ve got a roofer who can help. Check out our services below and then call our office at (706) 814-3207 with any additional questions or to schedule a free estimate.